JINJA – With 10 days to go in the current transfer window, Jinja based side-Bul FC has captured the signing of two experienced players. Peter Onen’s side who currently sit 5th on the StarTimes Uganda Premier League table have added Jimmy Kulaba and Ezekiel Katende to their squad. Defender, Kulaba, has previously featured for Police FC, URA and Kenyan outfit-Tursker. 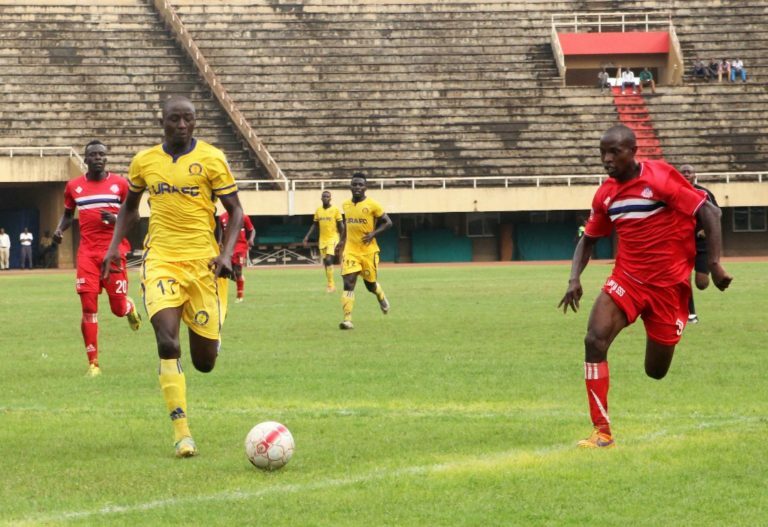 Kulaba is expected to booster a central defence that currently features Captain Abdul Mayanja and Willis Otongo. For Katende, a winger by trade, he joins Bul on a six month loan deal from Big League side-UPDF FC. The two players are expected to join the rest of the team on Monday ahead of the second round that kicks off on January 30th 2019 when Onen’s side host Maroons FC at the FUFA Technical Center, Njeru. BUL are currently 5th on the standings with 23 points accumulated from their first 15 matches. They are also into the Uganda Cup round of 16 following a penalty shoot-out victory over Mbarara City in the last round.